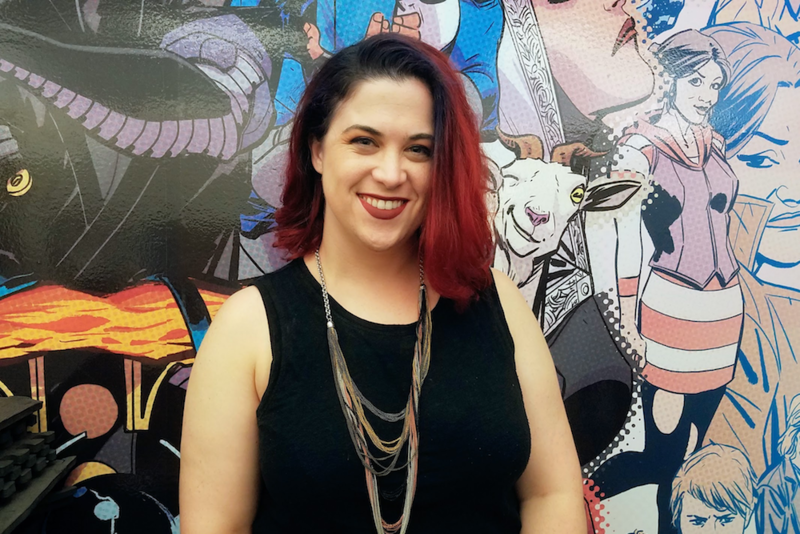 New York, NY (September 13, 2018) – Valiant Entertainment is proud to announce that it has named Emily Hecht to the position of Sales & Social Media Manager. In her role in Sales, Hecht will continue to manage relationships with comic book retailers, a position she previously held in a freelance capacity. As Social Media Manager, Hecht will create content and engage with fans, retailers, and press through Valiant’s various social media platforms, including Twitter, Facebook, and Instagram. Hecht began her work in comics as the Operations Manager for Carmine Street Comics in New York City, and later as a table assistant for several prominent artists at comic conventions. A Harvard graduate, former actor, and experienced social media and marketing manager, she quickly found a home with Valiant as a freelance Sales Manager, developing strong working relationships with stores and spearheading the Valiant Retailer Facebook Group. Previous Article First Look: SHADOWMAN #8 – Andy Diggle and Renato Guedes Dig Up ”RAG AND BONE,” on Sale This October!